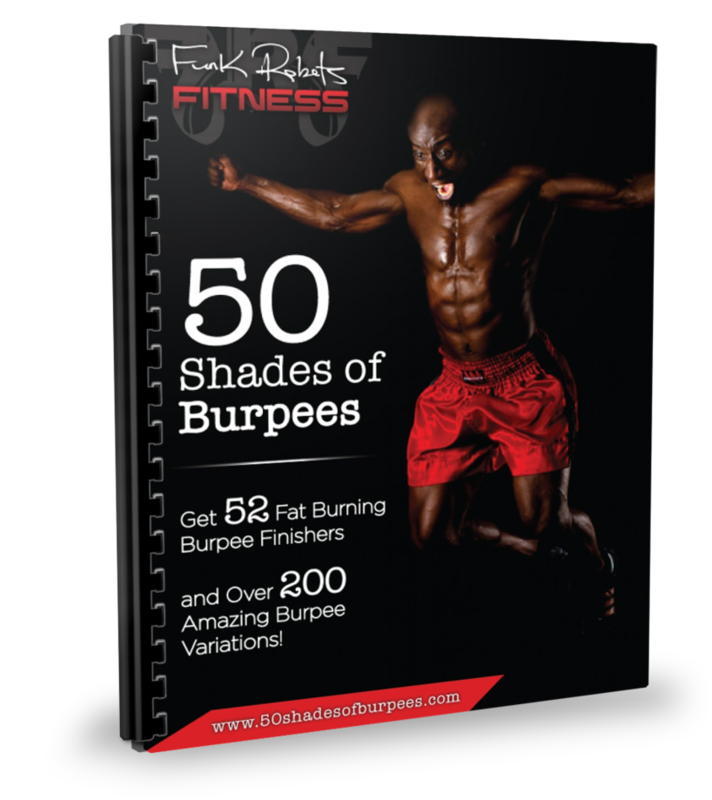 "Who Else Wants 54 BRAND NEW Done-For-You Burpee Finishers with Over 200 Burpee Variations, Guaranteed to Help Keep Your Sessions Fresh, Exciting and Challenging while Delivering Amazing Results AND Giving You The Edge Over Your Competition!" 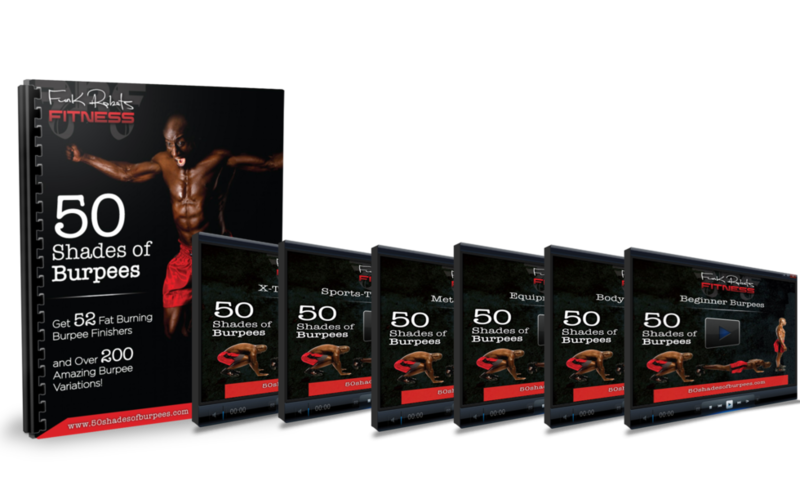 No other Fitness Professional, Trainer or Coach will be able to keep up with YOU or the RESULTS your clients are getting, when you have the “50 Shades of Burpees” Finisher program as your secret weapon! You have to agree the burpee is the “Ultimate Metabolic Bodyweight Exercise”. This compound exercise works almost every muscle the body in one short sequence of movements. Targets the heart and lungs to the max to increase cardio. And forces the body to work far above the capacity to take in, transport and utilize oxygen and, subsequently anaerobic conditioning will improve. Including this exercise into training sessions for your client or athlete is a MUST if you want to produce RESULTS! Why do you think so many professional sports teams, athletes, high-level trainers, coaches and the military include BURPEES in their workouts? Because BURPEES Are Extremely Effective! It is also one of the best exercises to build conditioning, and the strength to help prevent injuries and perform at optimal level. The problem is, this exercise done over and over again, will get boring, monotonous and soon become the movement your clients or athletes LOVE to HATE, if they don’t already. 3. The ever so popular comment that fly through the air "Burpees, do we have to? I hate Burpees! You know how effective burpees are for you clients, but the challenge is how can you continually include them into your training sessions without your clients suffering from BURN OUT or worse leaving you for another trainer. Well there is a way to include burpees into every workout without getting negative reactions. And what if I told you there is a way to revitalize this exercise, make it fun, exciting challenging while leaving your clients wanting more. Now You Can Provide Exciting and Fun Workouts That Will Boost Your Training Sessions And Provide The Spark Your Clients Need to Continue To Train With You and Get Results! 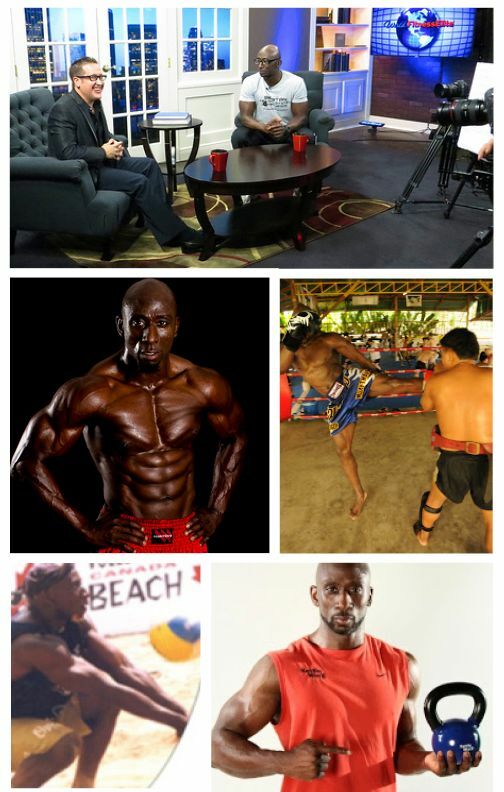 My name is Funk Roberts and I am a former professional athlete turned Certified Metabolic Training Expert, Kettlebell Specialist, MMA Conditioning Coach, Online Fitness Trainer and was just named one of America’s Premiere Fitness Experts and seen on ABC, NBC, CBS and Fox TV. For over 15 years I have helped thousands of regular men, women, sports athletes and fighters reach their goals, over and over again. The one element that is consistent with all this success was the inclusion of burpees into their training regimen. I used to get frustrated with the including regular burpees into all the workouts, because it was just too boring and after a while, my clients and athletes just adapted and soon the exercise was not that effective. Yes I know…you can always increase the reps or have them do burpees longer to make it more challenging, but that’s just not fun. So I decided to start creating different variations of burpees to put into the workouts and right away the reaction was incredible. Clients wanted more burpees…athletes wanted more burpees…fighters wanted more burpees and soon everyone wanted more burpee variations. It was time for me to unleash this resource to the world. 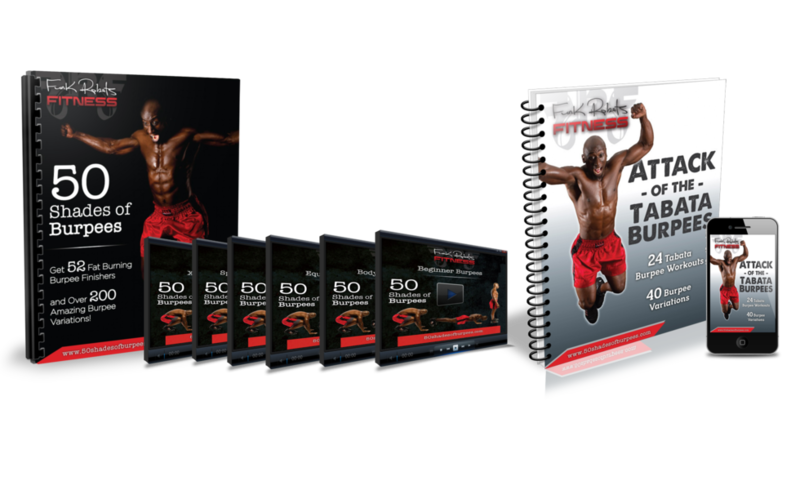 The training resource with 54 earth shattering 10-minute Burpee Finisher circuits and over 200 different burpee variations to help put the final blow to any training session, gym workout, run or sports practice. The different burpee variations make each Finisher workout challenging, effective and fun, while producing metabolic fat burning, muscle shredding effect in a short period of time. Once you start implementing these Burpee Finishers into your sessions your fitness classes and sessions will thrive more than ever! You already know how powerful and effective ending your workout sessions with Finishers can be for your clients or class. The Combination of Burpees and Finishers is the Perfect Union to Get Long Lasting Results For Clients, While Keeping Each session Fresh, Fun and Challenging. Get instant access when you sign up today. Variety - Doing the same old burpees over and over again can get boring and soon enough burn out can occur. 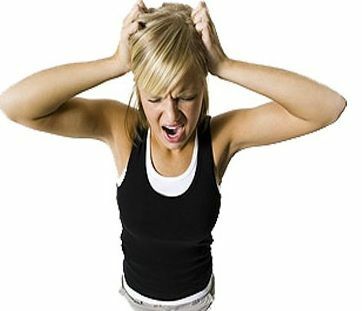 Most people stop a fitness program because they become BORED. Implementing a variety of new burpee variations will help break up the monotony and make your session even more exciting. Even if you change your workouts every day, which I’m sure you do, there is still a chance that they will feel “burned out”. More variety you incorporate into your session the better the chance of clients returning on a reoccurring basis and new clients signing up. With these new burpee finisher circuits your clients and athletes will leave your sessions feeling energized, rejuvenated and empowered. You get 54 videos that quickly demonstrate each exercise in the workouts. You can download the demo videos to your iPods, smartphone or tablet and take them with you anywhere you go. Take the guesswork out of how to perform each exercise to ensure your clients and athletes are training safely and effectively. All workout videos, eBooks and information is secured on the Member-Only website. This will ensure that only those that have purchased the program can access the information. What do you get when you combine the ultimate exercise with the most popular 4-minute workout ever? 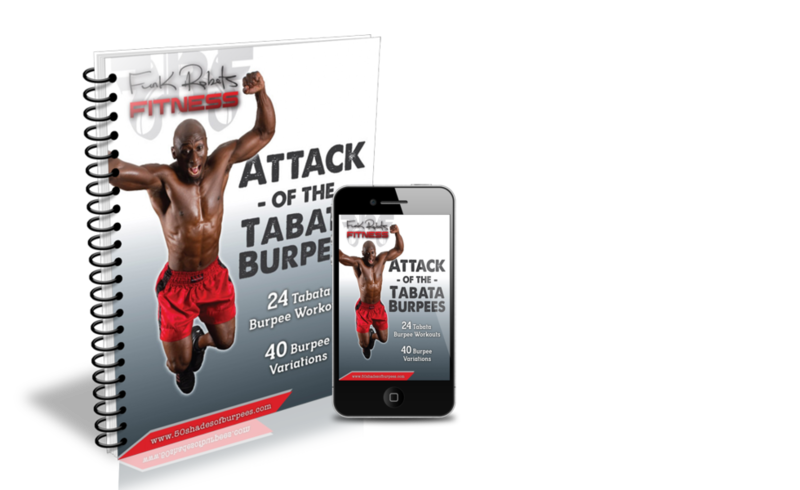 Tabata Finishers “Attack of the Burpees” program. Use these 24 Tabata bodyweight burpee circuits with an additional 40+ new burpee variations to continue to keep things new and exciting for your clients while getting results fast! Why “50 Shades of Burpees” Finisher resource will take your training business to the next level and help you to become the ‘Go To” Trainer/Coach in your community. Become the best trainer in your market with this added resource. This is where you get started if you have not done burpees before or in a long time. These circuits are for the beginner to help perform the basic burpee variations while getting a high intensity, fat burning workout. These are high paced metabolic circuits using bodyweight, equipment and challenging burpee variations. Perfect to use after a strength workout at the gym. In this category you will find burpee finisher using a specific piece of exercise equipment. This not only adds extra resistance to each movement but it Jacks Up the intensity of the circuit. For example: You may use a kettlebell, dumbbell, sandbag or even Lebert Equalizer’s for each. Perfect Burpee finisher to use with a sports team, MMA or Martial Arts class students. The movements and exercises are functional for the sport athlete. Today Only $49 $29 $19! Try the product for 60 days and if you are not completely satisfied just send me an email and Ill send you a refund. You have absolutely nothing to lose and all the risk is on me! 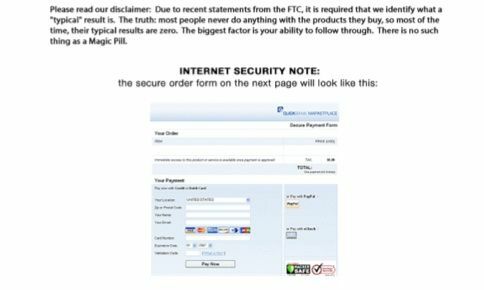 You are completely protected by my ironclad 100% money back guarantee. No hassles, no questions asked and prompt courteous service. I look forward to hearing about YOUR success story using "50 Shades of Burpees"
FTC Legal Disclaimer: Results may vary, and testimonials are not claimed to represent typical results. 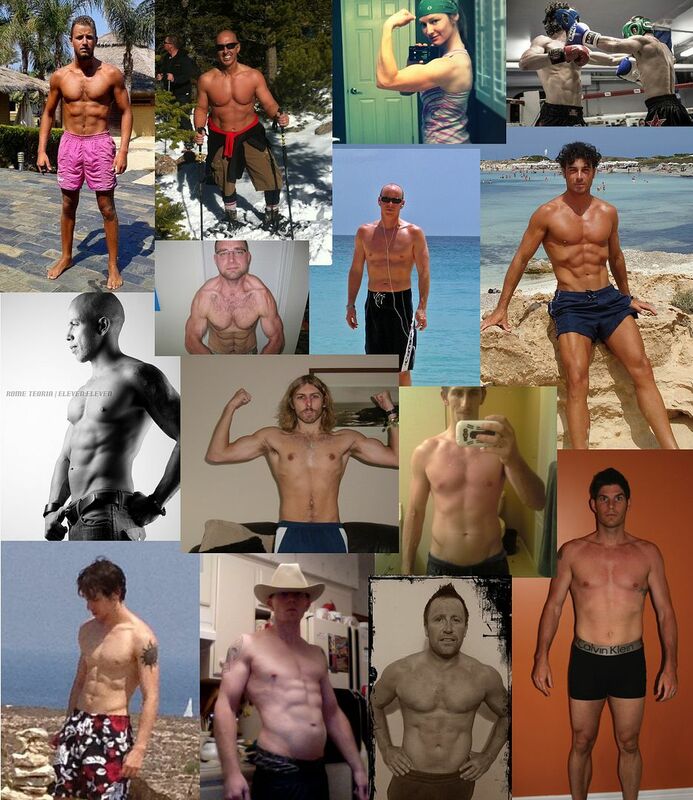 All testimonials are real, and all the men and women pictured transformed their body through using Funk Roberts Fitness programs. However, these results are meant as a showcase of what the best, most motivated clients have done and should not be taken as average or typical results. Funk Roberts is not a doctor, and his advice is not a substitute for medical advice. Consult your physician before beginning any exercise or nutrition program.